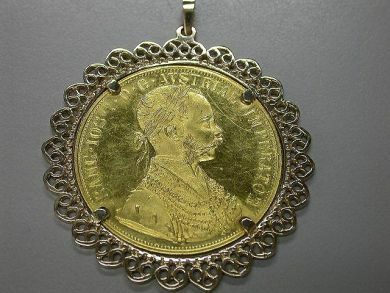 15 karat, circa 1915 Austrian Ducat Pendant. One side depicts the face of a laureate. On the flip side the coin depicts the Austrian coat of arms. The coin is 0.986% gold and set in a 14 karat yellow gold frame with openwork ribbon style trim.